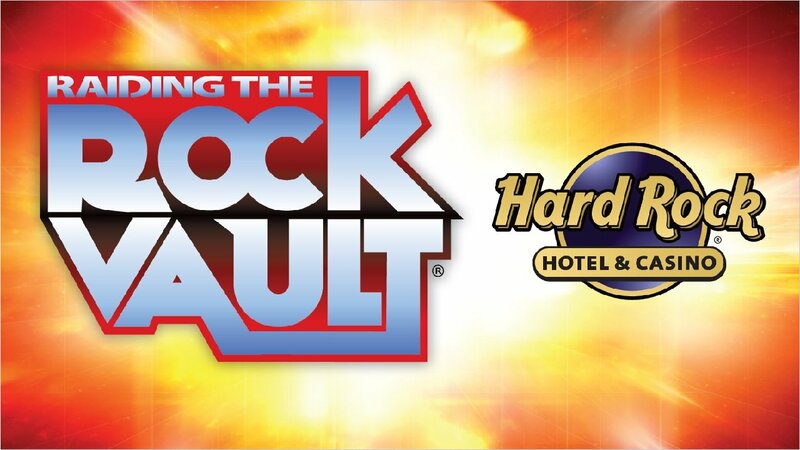 While it may seem like a sweet dream, especially to any guitar hero-playing, vinyl collecting and hard-rock radio listening fan, the raucous show “Raiding the Rock Vault” is in fact a real-life experience where musicians from the greatest bands of all time come together to jam out. Playing live at Vinyl in The Hard Rock Hotel, this is what you would call the ultimate rock n’ roll experience. It’s kind of like fantasy football, but with classic rock musicians as all-stars. Pick your favorite players from each team, I mean band… and watch them let it rip as they riff on cords and drum solos through a catalogue of rock music’s greatest hits. The best part of the show has got to be the audience who sing alongside a few air-guitar playing dudes, and are all super stoked to see their teenage idols jam out together. Huge jumbo-trons play out video footage from back-in-the-day making this a full-on, multi-media rock concert. Musicians hail from the coolest bands ever, like Whitesnake, Bon Jovi, Meat Loaf, Asia, Badfinger, Quiet Riot, Fantasy, The Lita Ford band and The Offspring, to name a few. The song set list includes classic hits from legendary artists like KISS, Van Halen, Led Zeppelin, AC/DC, The Eagles, Jimi Hendrix and of course, The Doors. The show makes me feel like I’m really at a rock concert! All the players are very talented and they all have pasts in the rock show business. From the beginning to the end, I was out of my seat singing and rocking along. This is one of the few shows I will get THAT excited for! You Will Totally Sing Along! This show is just like going to a rock concert. The venue is only 10 rows, so no matter where you sit it is a perfect view. The thing I found most interesting about this show, is that the members that perform, used to be in the bands that they are singing from. This a great show to stand, dance, and sing along to! All the Best Music in One Super Concert! By far my all time favorite show! Songs of the 60’s, 70’s and 80’s will have you standing up in your seat singing along! All of the band members have toured with some of the original bands and they have guest appearances from time to time. It’s a must see!